With the most extensive range of quality kitchenware and cleaning products in Australia, Reward Distribution is set to become the supplier of choice to the hospitality industry. For nearly 40 years, Reward Distribution has provided customers in Australia with a wide range of hospitality, cleaning and catering products. The company has 12 distribution centres and 14 stores, and supplies more than 18,000 customers across the nation, making it the largest distributor of hospitality supplies in the country. Formerly part of ALS – a global testing, inspection and certification business – Reward Distribution was bought by The E.CF Group in 2014. E.CF is a leading European supplier of hospitality and catering equipment, and so is a more natural fit for Reward Distribution. Founded in 1880, the group has more than 130 years of experience in the industry, and has a total of eight subsidiaries in 12 different countries around the world. 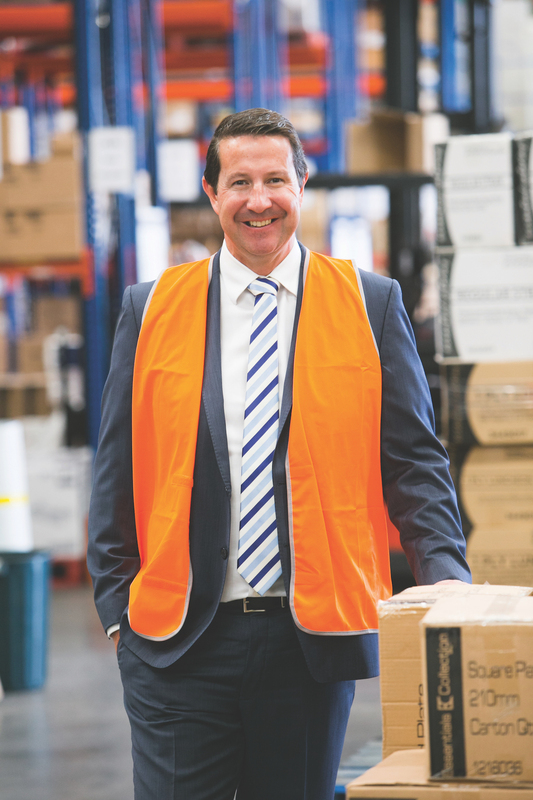 Since joining the E.CF Group, Reward Distribution has brought “a whole range of unique products to the market that Australian customers haven’t seen before,” says David Bull, CEO of Reward Distribution. He adds that because no other company in the Australian market can match this offering, it sets a benchmark for the rest of the industry to aspire to. Reward Distribution has also benefited from the experience of the E.CF senior management team. “It’s fantastic to have the support of like-minded individuals at E.CF, and to draw from their experience of what works,” says David. David says Reward Distribution is working towards becoming a whole “new reward”. The company has recently updated its website and is opening new facilities, the most recent of which is in Dubbo. The company is also scoping out sites for further growth potential and has plans to upgrade all of its stores across Australia. Reward Distribution’s expansive presence in Australia gives it a competitive edge. Strategically placed local distribution centres mean that products are more readily available to customers. Plus, Reward’s breadth of offering makes it a ‘one-stop shop’ for customers seeking hospitality supplies, with all products available across all locations. Reward employs specialists who have previously worked in the hospitality industry, including ex-chefs and front of house staff. “Our staff have strong industry knowledge and are passionate and looking to grow in the field,” says David. With the growth of the hospitality and the tourism industries in Australia, it’s important for Reward Distribution to be the supplier of choice, and David says that the company’s experience and dedication mean Reward is well placed to meet that goal.